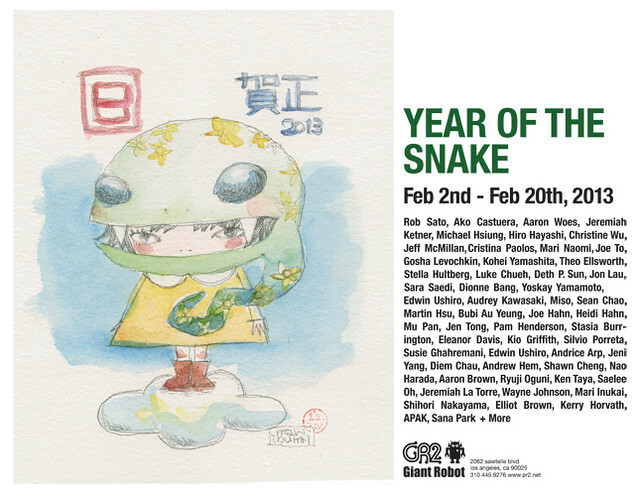 celebrating the year of the snake for 2013.
so glad to start the new year in such good company (in spirit, at least). the show opens tomorrow, and runs till February 20th. Serpentine. 9.25" x 11.75". 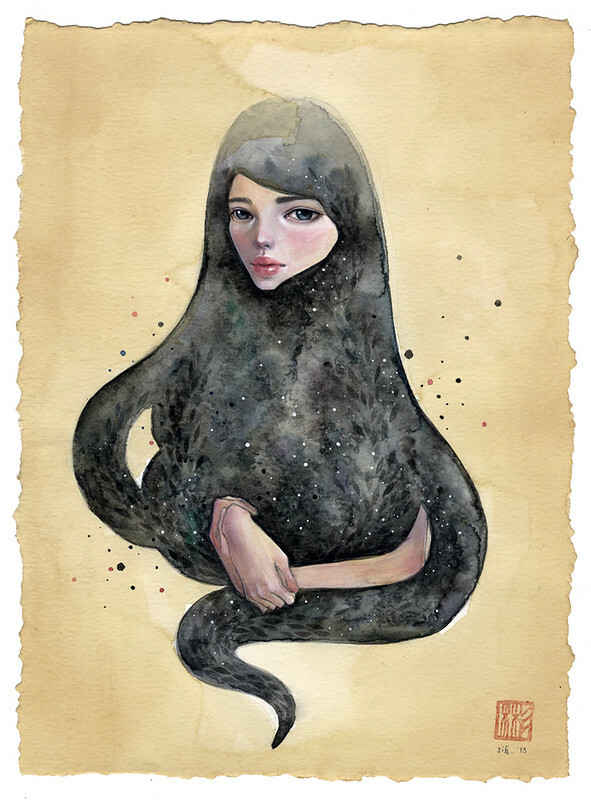 Watercolor and Acrylic on Tea-stained Paper. ©2013. i decided to start with the first piece of 2013. hopefully i portrayed enough of the snakiness in an abstract way. happy new year (belated for 2013, early for Lunar new year next weekend)!! !